Khalsa Credit Union was registered in 1986 in Canada as a religious bond financial institution to provide financial services to the Sikh community. Credit unions are cooperative financial institutions, owned and controlled by the people who use its services. Credit unions serve groups of people that share a common bond, such as nationality or where they work or live. Credit unions are not-for-profit, and traditionally provide fewer fees, better service and lower rates on loans. The members themselves pool their financial assets to provide funds for these loans and a wide variety of other financial services. 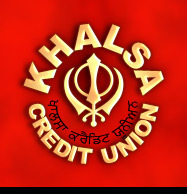 Khalsa Credit Union offers savings and checking accounts, online banking, credit cards, loans, and investment vehicles. They have branches in Surrey, Vancouver, British Columbia, Abottsford, and Guilford.